The Bruder Moist Heat Eye Compress refreshes, rejuvenates and relieves dryness simply, naturally and conveniently. Just place the mask in a clean microwave for 20-30 seconds, then apply over closed eyes for 10 minutes. The moist heat provides welcome relief in minutes. The mask will maintain prescribed heat levels for the entire treatment. Treatment can be repeated as often as necessary, typically one or two times a day. Number 1 Doctor Recommended Moist Heat Compress. Washable, Reusable. Anti-Bacterial. #1 DOCTOR RECOMMENDED - The Bruder Moist Heat Eye Compress is the #1 Doctor Recommended all-natural and proven way to bring fast acting relief to people suffering with symptoms of dry eye disease (DED), meibomian gland dysfunction (MGD) and blepharitis. MICROWAVE ACTIVATED - The easy-to-use compress delivers an effective moist heat treatment. Simply microwave for 15-20 seconds and apply for 5-10 minutes or as prescribed by your doctor. 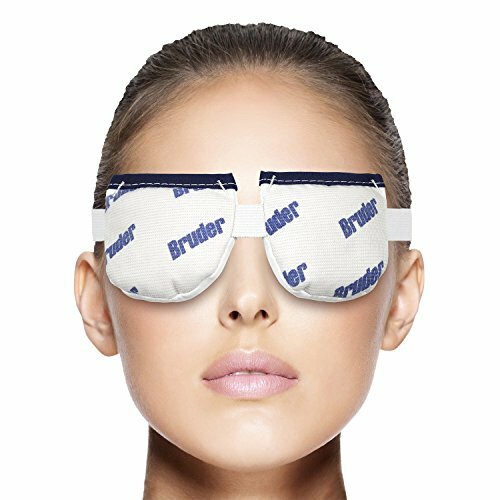 EXTENDED HEAT - Unlike other materials that can dry out and release uneven heat, the Bruder Moist Heat Eye Compress will maintain prescribed heat levels for 10-15-minute treatments while providing uniform moist heat. PATENTED MEDIBEADS TECHNOLOGY - Water molecules are continuously absorbed from the air and stored inside the beads. When microwaved, the absorbed water is released as clean soothing moist heat. No need to add water, no waiting and no mess! HAND-WASHABLE - Made with MediBeads technology that will not break down with repeated use and washing. Only the Bruder compress contains patented MediBeads that can be hand washed when needed and will last 6-9 months with frequent daily use. Did You Get Injured While You Were Working Out? Don't panic! 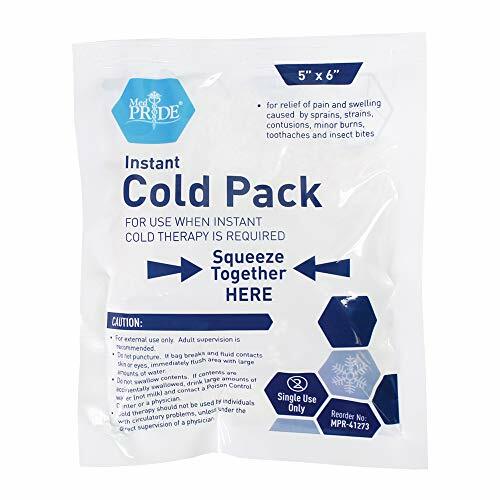 These instant cold therapy packs will provide you with pain relief, speed up the healing process and restore your mobility very fast. All you have to do is squeeze the middle of the flexible ice packs and let its gel turn ice cold -it will feel like actual ice, minus the melting and sweating! Each set includes 24 packs, so you can upgrade your first aid kit and take a cold pack with you whenever you work out, travel or enjoy outdoor activities. Use Them On Any Part Of Your Body And For Any Injury! These disposable cold packs are ideal for strained muscles, sprained joints, toothache, headache, insect bites, contusions, minor burns and more. The cold therapy ice packs are flexible, so they will conform to any part of your body and cover the injured area thoroughly. This Is The Most Practical First Aid Product! You can treat many different kinds of injuries with these instant ice packs, and you can get instant pain relief without the need for pain pills. So if you're an athlete, an outdoorsy person or if you have kids, place an order and get yourself prepared for any emergency! GET INSTANT PAIN RELIEF WITH COLD THERAPY: Did you sprain your ankle while running? Are your muscles sore? Do you suffer from toothache or headache? Did you get burnt or bitten by an insect? This instant ice packs will reduce the swelling and the inflammation, provide you with pain relief and speed up your recovery! YOU DON'T HAVE TO PUT THEM IN THE FREEZER: These cold therapy ice packs for injuries do NOT need a freezer to become ice cold. All you have to do is squeeze the center of the flexible ice pack and it will instantly become as cold as regular ice. This effect will last long enough to reduce your swelling and inflammation. USE THE ICE PACKS ON ANY PART OF YOUR BODY: Medpride's disposable ice packs come in packs of 24, and they are 5'' x 6'' inches each. Thanks to their practical size, you can use these cold ice packs on any part of your body, including your ankle, elbow, head, neck, hip, foot, wrist, knee, calf and shoulder. CARRY THEM AROUND WITH EASE AND SAFETY: If you're an athlete or you enjoy outdoor activities like hiking or hunting, you should definitely carry at least one cold ice pack in your bag, along with your other first aid supplies. In this way, you will be able to deal with minor injuries and restore your mobility faster. 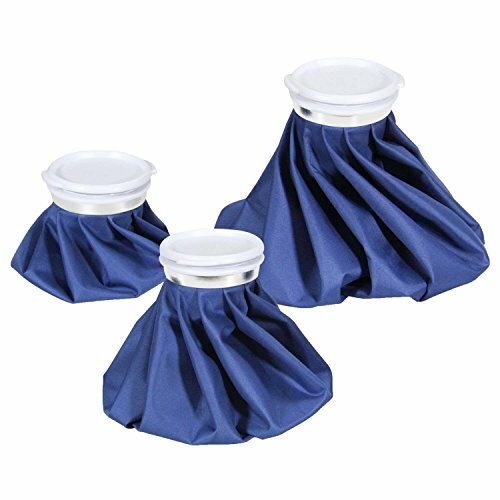 PREMIUM QUALITY DISPOSABLE KNEE ICE PACKS: Here at Medpride we're very proud of the superior quality of our cold therapy foot ice packs, because we know they are effective and absolutely safe for your health. So place an order and you will never again have to deal with joint swelling or painful muscle strains! We all suffer from discomfort or injuries at times in our lives, be it tooth aches, sore muscles, joint pain or injuries. And while we can't prevent them all, we can help you recover so you have more flexibility and less pain throughout your day. Introducing the Trek Proof Ice Pack set that comes with two hot / cold gel wraps perfect for warming muscles or relieving swollen ankles, a stiff back, or tired knees and joints. Crafted with skin-safe fabric, our ice packs come with an adjustable strap so you can use them all over your body. What's more, they're freezer and microwave safe so you can get them the right temperature before you place them on your skin. As a reminder, you should always check how it feels against your skin and limit treatment times based on comfort and therapy requirements. Two (2) Hot and Cold Gel Packs One (1) Adjutable Comfort Strap Soft, Flexible and Reusable Microwave and Freezer Safe Velcro Closure Home, Office and Travel Friendly Satisfaction Guaranteed Click 'Add to Cart' above to get versatile Trek Proof ice packs and start relieving pain, swelling and sores so you can feel better. 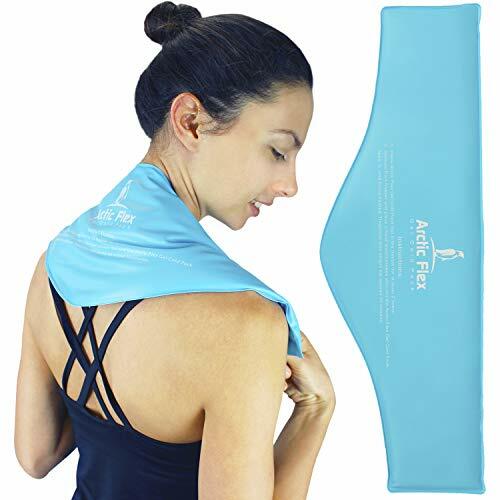 Comfortable Pain Relief - These adjustable hot and cold packs offer therapeutic relief for myofascial, soft tissue soreness as well as stiff joints and aching muscles. Hot or Cold Compress - Trek Proof medical-grade gel packs are safe for the microwave and freezer to easily rotate between icing and heating injuries. Improved Recovery - Along with general aches and pains, our therapy pads can help reduce headaches, swelling and fevers as well as relieve menstrual cramps and sinusitis. 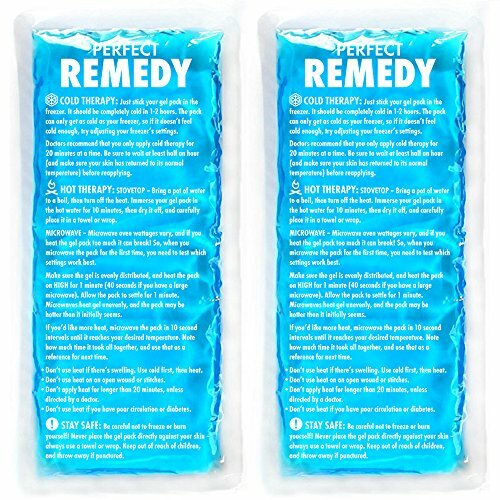 Dual Pack - Every order comes complete with two body-forming ice packs so you can keep one in the freezer and one bag with your first aid kit ready to be heated up. Includes Comfort Strap - Trek Proof soothing therapy wraps come with an adjustable, one-size-fits-all strap that's great for men and women. COLDER FOR LONGER: Proprietary gel cold pack stays colder for Longer than competing products that use inferior bentonite formulations. 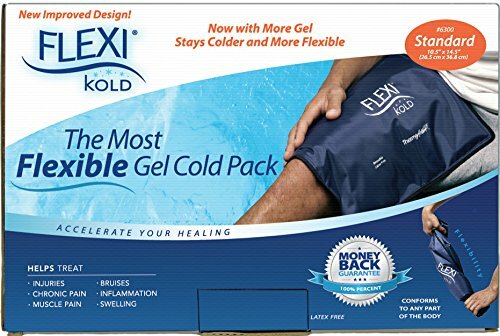 MORE FLEXIBLE: The Most Flexible Cold Pack available due to the best professional-grade gel interior that remains pliable when frozen, which provides better contact by conforming to any part of the body. 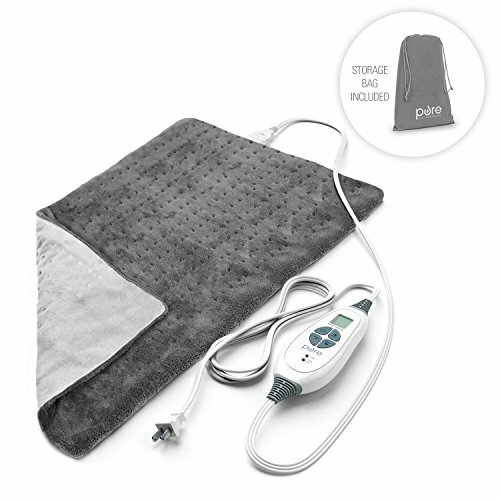 HEALTHCARE PROFESSIONAL'S CHOICE: Used by thousands of Physical Therapists and other healthcare professionals for cold therapy to aid acute and chronic pain, muscle pain, arthritis, inflammation, swelling, menopause-related hot flashes, and injury recovery. DESIGN: Crafted from durable nylon and vinyl fabric and filled with non-toxic gel. These gel cold packs are soft to the touch but durable enough to be used dozens of times. VERSATILE: Great for use on nearly any body part, including: shoulder, upper / lower back, hip, knee, elbow, cervical, wrist, head, eye, perineal, ankle and foot. Helps soothe common aches and pains or injuries. 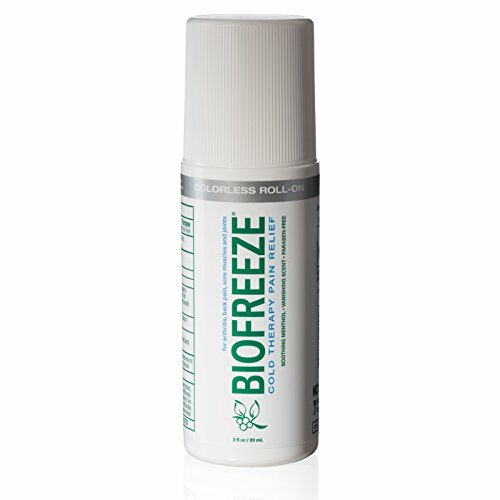 SUPERIOR PAIN RELIEF & THERAPY: Delivers up to 30 minutes of soothing cool relief. Provides instant pain relief, long term therapy and helps to manage swelling. FREE FABRIC STORAGE BAG: The 2-pack of gel cold packs comes in a handy drawstring fabric storage bag. This bonus storage bag is our gift to you! TRUSTED: Cold Packs are recommended the most by Physical Therapists, Doctors, Sports Trainers and Chiropractors. Manufactured and sold by a FDA registered US company. Purchasing a Thrive Brand gel cold pack ensures a safe, sterile and regulated healthcare product. SATISFACTION GUARANTEE: If for any reason you're not 100% satisfied, simply contact us for a hassle-free full refund. We are a US company that has been in business for nearly 40 years and we truly believe in and stand behind our products! View the full line of Thrive Brand cold and hot therapy products on Amazon. Thrive offers therapy packs for nearly all use cases. DESIGN - Crafted from durable nylon and vinyl fabric and filled with non-toxic gel. These gel cold compress ice packs are soft to the touch but durable enough to be used dozens of times. The packs gently provides soothing cold therapy and stay pliable during treatment. Won't turn into an immovable hard brick like most standard ice packs. These gel cold pack each are 10.5 inches long X 4.75 inches wide and less than 1 inch think. Each weighs approximately 0.5 lbs. You will receive two! FREE FABRIC STORAGE BAG - The 2-pack of gel cold packs comes in a handy fabric storage bag. Made from durable polyester and featuring a drawstring closure. Store the cold packs in the freezer with this bag or use it for travel. This bonus storage bag is our gift to you! Designed especially for heavy clinic use in cold therapy, choose from seven blue vinyl sizes and four black polyurethane sizes, to ensure effective cold therapy for any body area or shape. 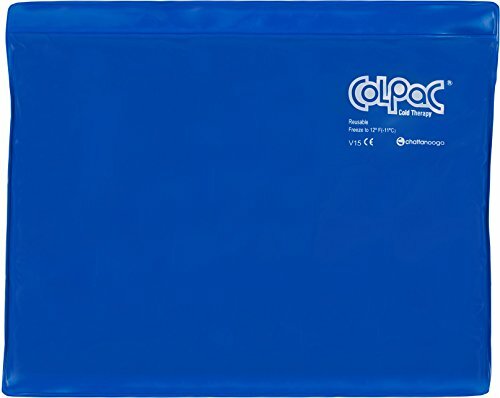 ColPac provides effective relief of pain from cold therapy. ColPacs filled with non-toxic silica gel that will remain pliable throughout treatment. Delivers up to 30 minutes of cold therapy soothing relief from acute pain, swelling and fever. All ColPaCs latex Free. One year warranty. 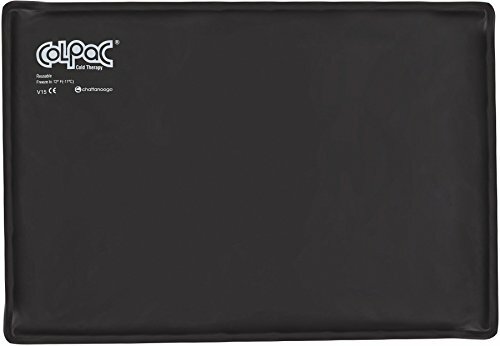 ColPaC black polyurethane oversize measures 18-1/2" length by 12-1/2" width. 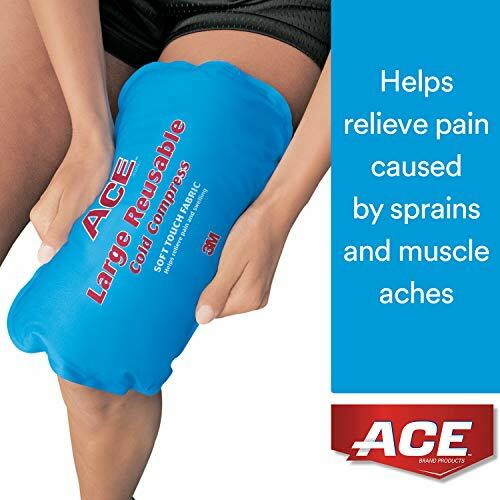 An essential for every home, the ACE Soft Touch Reusable Cold Compress helps bring relief to bumps, sprains, strains and more. This compress' super-soft fabric exterior helps eliminate the need to wrap it in a towel and it conforms to the injury, straight out of your freezer. You never know what the day will bring so always be prepared with the soothing relief of the ACE Soft Touch Reusable Cold Compress. Stop dealing with leaky bags of ice and hot water bottles! With Perfect Remedy's Ice Packs For Injuries, you can enjoy pain relief wherever you need it, with no mess! This pack includes TWO REUSABLE GEL PACKS, which can both be used for either HOT OR COLD therapy - just stick them in the microwave, or the freezer. They're made with a safe, non-toxic gel, which stays PLIABLE when frozen, and are encased in a sturdy, leak-proof plastic. Each pack has an effective area of 10" x 4.5", making them ideal for SMALL AND MEDIUM-SIZED BODY PARTS. Use them on your knees, shoulders, elbows, ankles, wrists, neck, head, or anywhere else you need it! [50% MORE GEL] - Our packs contain significantly more gel than competing packs, so they stay colder longer! Cheap packs sold by competitors have just a thin layer of gel, but ours are thick, so you can continually apply soothing cold or heat. Each pack measures 11" x 5.5", with an effective area of 10" x 4.5"
[STAYS COLDER LONGER] - Our gel is designed to stay colder much longer than competitors. Competing packs are warm after 10 minutes, but our proprietary gel stays ice cold! [PLIABLE AND REUSABLE] We craft our packs from a sturdy, leak proof plastic, so they're designed to be used over and over again. They're also designed to remain pliable when cold, so you can mold them to aches and pains on your body. Use them on your knee, ankle, shoulder, neck, head, jaw, elbow, wrist, or anywhere else you need an ice pack. [USE BOTH HOT AND COLD] - Our packs can be used both for both cold and hot therapy, unlike competing packs that can only be used cold. Just stick them in the microwave, or the freezer! [NO HASSLE 1-YEAR WARRANTY] - We stand behind our products 110%. If you ever have any issues, just get in touch and we'll happily send a replacement or refund. 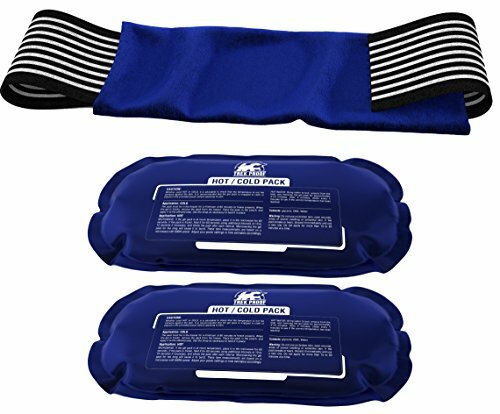 The Arctic Flex cold compress therapy pack stays pliable during icing treatment. Great for sports, sprains, pulled muscles, fever, physical therapy, managing swelling, and after injuries, ankles, knees, face, forehead, shoulders. We stand by our products with excellent USA based customer service and a guarantee. LONG LASTING SOOTHING RELIEF: Generously sized, the contoured neck pack provides 30 minutes of ice or heat therapy for targeted pain relief. Relaxes and soothes sore muscles, bruises, sprains, and also reduces arthritis pain, and inflammation. Great for muscle aches, neck pain, shoulder pain, headaches and sports injuries. 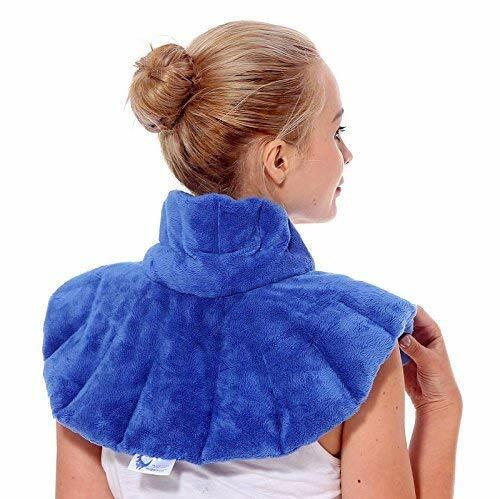 FLEXIBLE CONTOURED DESIGN: Contoured neck pack remains flexible when frozen to lay flush against the neck and shoulders for targeted cold therapy. SAFE FOR SENSITIVE SKIN: Safe for everyone, the cold pack is constructed with soft, latex-free vinyl that is filled with a non-toxic silica gel which remains flexible when frozen. It is recommended that a hand towel or layer of clothing rest between the skin and the cold pack as a protective barrier. DURABLE, MICROWAVEABLE AND REUSABLE: Soft, yet durable, the contoured treatment pack is constructed with a strong vinyl that is tear and split-resistant. Each seam is sealed to prevent leaks for extensive reusability. Are you looking for a versatile quality large ice pack & wrap to relieve pain and treat injuries? You should not miss this multipurpose ice pack & wrap set with hands-free design. Grab Koo-Care large all-in-one ice pack with wrap for heat & cold therapy! Universal large size 11" x 14"
Compatible for shoulders, arms, back, belly, Hips, thighs, knees, shins etc. Cold therapy is perfect for sports injuries, back ache, joint pain, fever, headaches, toothaches and minor burns etc. Store the gel pack in the freezer for at least 2 hours. Hot therapy is perfect for sprains, strains and stiffness, muscle pain and spasms, mild arthritis, menstrual cramps etc. and should be applied 48 hours after the injury. Heat the gel pack in the microwave according to the detailed instructions on the gel pack. Immerse gel pack in the hot water for approximately 10 minutes. Best customer service. Please get in touch with us for any questions. Relieve your pain from injuries right NOW and own this Ice Pack with Wrap! Includes a nylon non-toxic gel ice pack(11" x 14", 2.2 lbs), a matching wrap and an extension band. 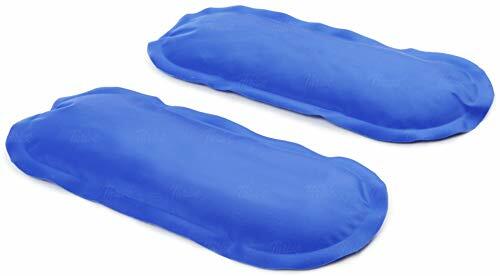 Available for both heat and cold compress, keeps flexible and soft after frozen even at 0 F(-18 ), CE and FDA approved. The gel ice pack is large and heavy enough, it can keep cold or hot longer than other smaller packs. The unique design makes the gel distribute evenly and the gel will not easily clump together unlike other large cold packs. It feels soft, smooth and comfortable. It is also reusable and can be frozen, heated or microwaved. The fabric wrap is very soft, the attached 2 elastic bands and straps make it easy to keep the cold pack in place. The long elastic band extends from 29.5 to 43.3 or even more, so the item fits for people of different figures. This product is multi-function and can be used for shoulders, arms, back, belly, hips, thighs, knees, thins etc. It is also a first-aid essential for home or clinical use as it is ideal for sports injuries, muscle pains, strain & stiffness, body aches and more! QUICK AND EASY TO USE Getting instant relief is quick and easy with our heat compress. Just heat it in the microwave on high for 20 seconds. Remove the mask from the microwave and test the temperature with your fingers. Don't heat for more than 30 seconds. Place the mask over closed eyelids for up to 10 minutes or as recommended by your doctor. A convenient storage bag makes it easy to store and carry. Take it with you during travel and using it during long hectic flights. It's the perfect way to induce sleep and relax. TREATS EYE CONDITIONS Our hot compress mask helps treat a number of uncomfortable eye conditions. Provide relief for discomfort that can result from aging, contact lenses, digital screens, dry air, puffiness and more. It also helps treat more serious conditions like pinkeye, stye, blepharitis, sinus pressure, Meibomian Gland Dysfunction (MGD), muscle spasms, and more. Reduce the look of swollen eyes and redness. It provides natural hydration and moisture for the most sensitive area of your face. HEAT THERAPY: Reduce redness or puffiness with the soothing feel of heat compression. With Hydro Heat technology this eye compress absorbs moisture from the air and releases it as clean moist heat. SOOTHING RELIEF: Give yourself a spa treatment! It may be used to help you fight insomnia and relax before bed so you can fall asleep quickly. Get instant relief for sore or tired eyes with soothing moisture. DOCTOR RECOMMENDED: Treat dry eyes, pink eye, MGD, sinus pressure, stye, blepharitis and other eye conditions naturally. 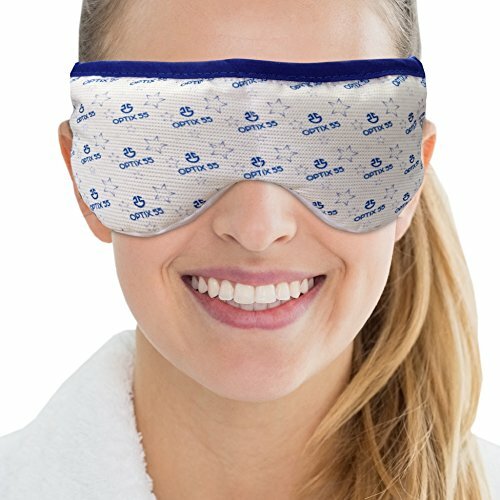 Trust the experts with an eye mask that is recommended by doctors and clinicians. EASY TO USE: Have it ready in a matter of minutes and get instant relief. Just heat it in the microwave on high for up to 20 seconds and it's ready to go! Place the mask over your eyelids for up to 10 minutes. STORAGE POUCH: Take it with you on the plane or on your next road trip. A convenient storage pouch helps keep your mask clean and provides a protective place for you to store it when you're not using it. Smart 3-pack Design for different requirements. [Large (11"), Medium (9"), Small (6")] - The small ice pack is perfect for children, or smaller aches and pains, while the two larger ones are great for teenagers and adults. Very Simple To Use - Simply fill with ice and water to relieve discomfort from headaches, bruises, migraines, muscle aches and swelling. For heat therapy, add hot water (not boiling) to help soothe an upset stomach, migraine, sinus and joint pain. A Must-have Product - Keeps a handy ice bag in your work desk, car and home for grab-and-go comfort from pain. Whether you are experiencing the weekend hangover, headache or aching and soreness from a recent visit to your chiropractor, get the soothing relief from hot or cold therapy right away.